The exhibition provides a fresh perspective on the canon and parameters of the Dutch Golden Age by uniting paintings from Benjamin Altman’s bequest, the Robert Lehman Collection, and the Jack and Belle Linsky Collection. 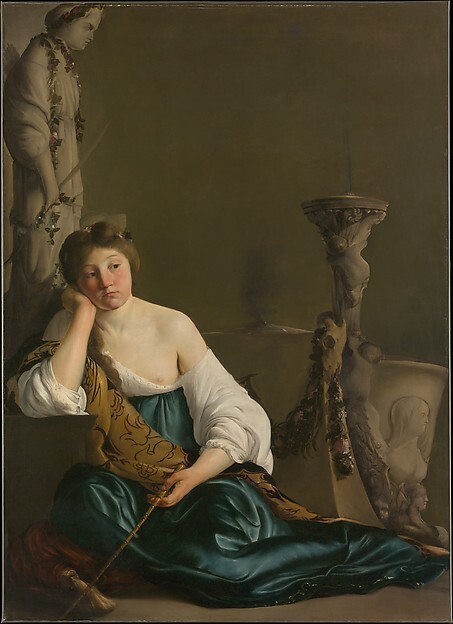 Works typically displayed separately in the Museum’s galleries—such as Rembrandt’s Gerard de Lairesse and Lairesse’s own Apollo and Aurora—are presented side by side, producing a visually compelling narrative about the tensions between realism and idealism during this period. The presentation also provides the opportunity to conserve and display rarely exhibited paintings, including Margareta Haverman’s A Vase of Flowers—one of only two known paintings by the artist and the only painting by an early modern Dutch woman currently in The Met collection. The exhibition takes its title from one of the period’s major works of art theory, Philips Angel’s The Praise of Painting (1642), a pioneering defense of realism in art.